Cauliflower hot "wings" reign supreme when it comes to tasty and healthy Super Bowl recipes. These cauliflower wings are spicy, hearty, and unbelievably meaty, (for a vegetable), too. Florets of cauliflower are coated in a simple mixture of garbanzo bean flour, garlic powder, salt, and pepper, to make a gluten-free breading. Garbanzo bean flour, also known as gram flour or besan, is abundant in fiber, vitamins, and minerals, just like garbanzo beans. The flour contains folate, manganese, copper, magnesium, phosphorus, and potassium, as well as antioxidants and protein. Look for garbanzo bean flour at natural food stores like Whole Foods Market or Sprouts, or online. 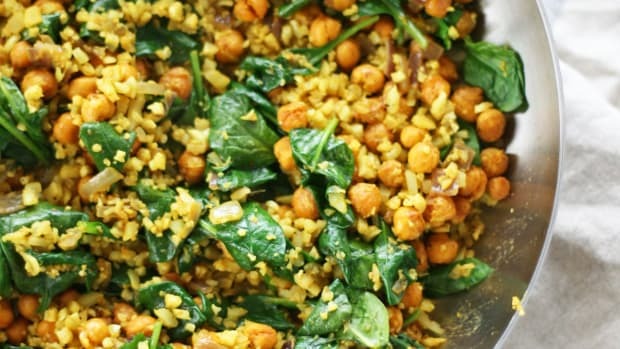 This recipe is a secretly delicious way to add cruciferous vegetables to your diet. Cauliflower, along with cabbage, kale, Brussels sprouts, broccoli, and bok choy, are members of this ultra-healthy vegetable group. 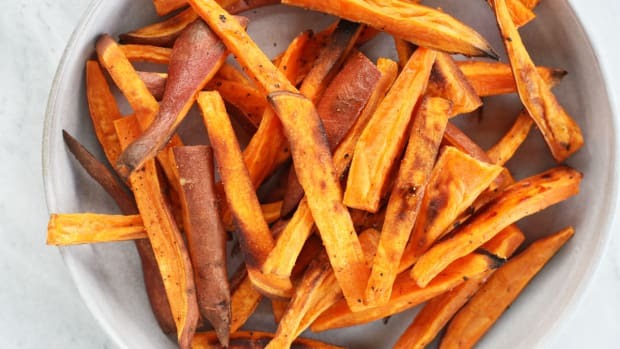 They are a rich source of phytonutrients, specifically, glucosinolates. Glucosinolates are thought to be anti-inflammatory and protective against certain diseases including cancer. 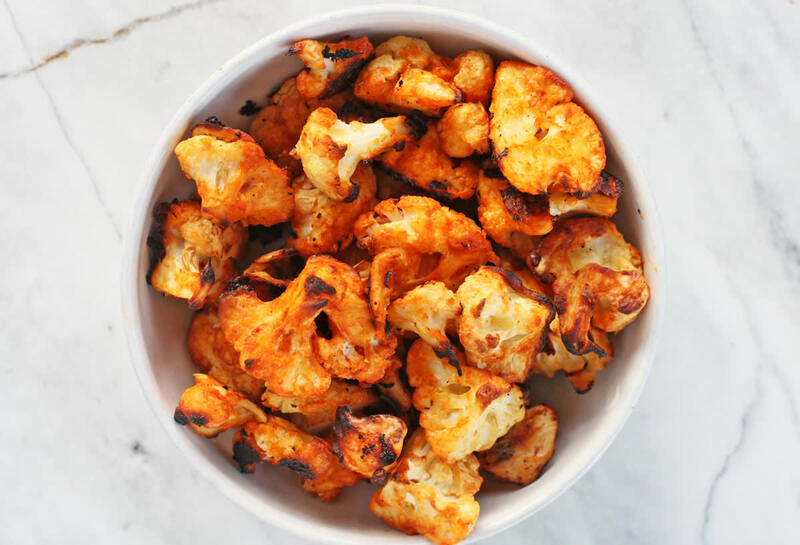 Hearty cauliflower florets are coated in garbanzo bean flour, baked, and then coated in a spicy hot sauce of your choice. Look for a minimally processed hot sauce that isn&apos;t packed full of sugar and other ingredients and additives. These hearty, tailgate-ready cauliflower wings are the perfect Super Bowl recipe. Serve alongside of your favorite ranch dressing and celery sticks for the best game day snack, ever. 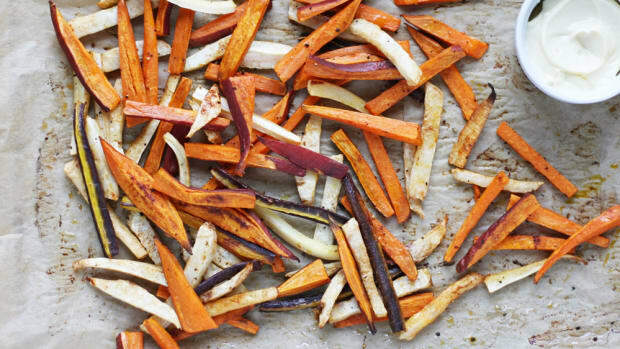 Preheat oven to 450 degrees Fahrenheit and line a baking sheet with parchment paper. 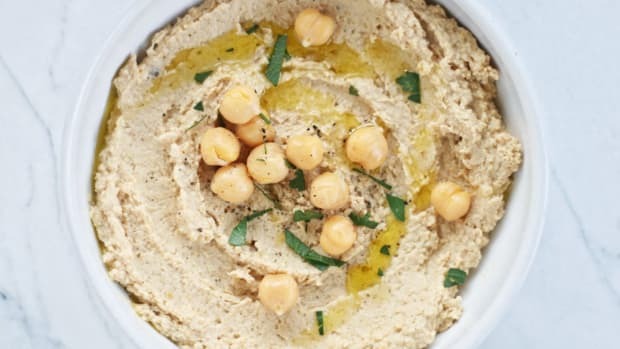 In a medium bowl combine garbanzo flour, spices, salt, pepper, and water. Whisk until smooth and creamy, with no lumps remaining. Add cauliflower florets to batter mixture and coat each piece completely. 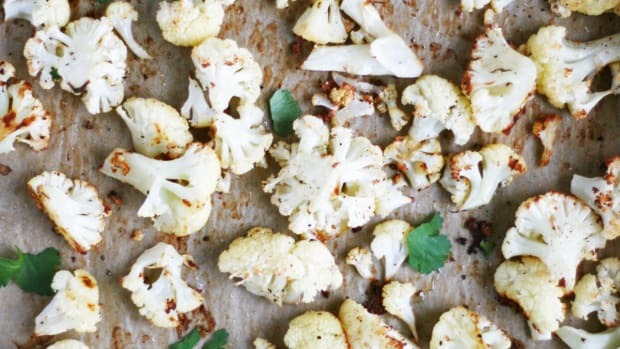 Place coated cauliflower florets on parchment paper baking sheet in an evenly spaced single layer. Roast for 15 minutes, stirring halfway through. 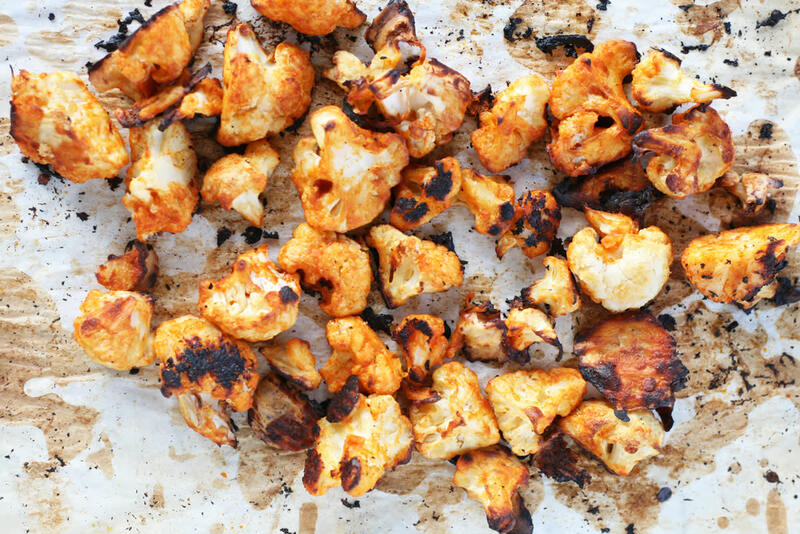 While cauliflower roasts, mix together melted ghee and hot sauce. 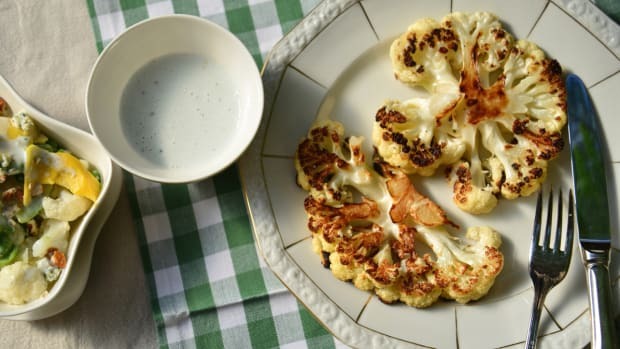 Remove cauliflower from oven and drizzle with hot sauce mixture. Gently stir cauliflower to coat in hot sauce. Return back to the oven and bake for an additional 20-25 minutes, or until cauliflower becomes crispy. Step aside, boring broccoli. 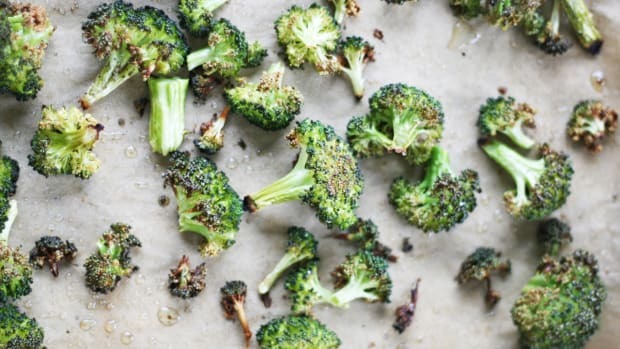 This is the most delicious way to make roasted broccoli ever; plus it boasts a wide array of powerhouse properties. 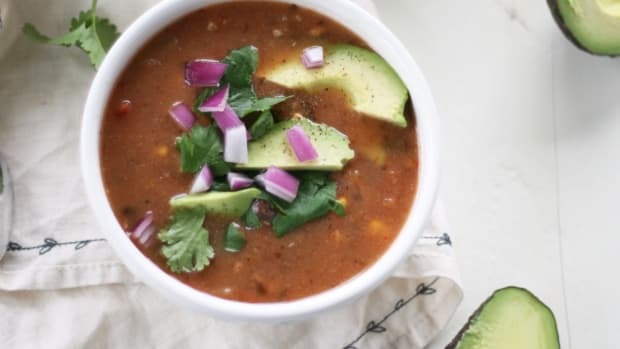 Dish up this spicy chicken tortilla soup using an organic rotisserie chicken to cut down on prep time and boost the flavor.